Administrative Law Judge (ALJ) Peter Paul Castillo, from the Office of Administrative Hearings (OAH), State of California, heard this matter in Salinas, California, on April 9 and 10, 2013. Deborah Ungar Ettinger, Attorney at Law, represented the Santa Rita Union Elementary School District (District). Debbie Bradford, the District’s Director of Student Services, was present throughout the hearing. Parents represented Student. Lucia Aguilar-Navarro, a qualified Spanish interpreter, provided Spanish interpretation services to Parents on both days. Student was not present. 1 The closing briefs have been marked as exhibits. Student’s brief has been marked as Exhibit S-2 and the District’s brief has been marked as Exhibit D-21. 2 Student is also eligible to receive special education services under the categories of specific learning disability (SLD) and other health impaired, and there is no dispute that Student continues to be eligible for special education services under those categories. 3 Judicial notice of the prior Decision is taken pursuant to Evidence Code, section 451, subdivision (a). The District seeks an order that Student is no longer eligible for special education under the category of SLI and it may cease providing Student with speech and language services. The District asserts that Student, based on assessment information and school performance, is not eligible for special education services under the category of SLI. Therefore, because Student is no longer eligible under SLI, she no longer requires speech and language services to receive a free appropriate public education (FAPE). Student asserts that she is still eligible for special education services as SLI and requires speech and language services due to the severity of her speech and language deficits. 1. Student is a 13-year-old girl who resides with Parents within the geographical boundaries of the District. Towards the end of 2009, the District found Student eligible for special education services under the category of SLI due to her expressive, receptive and pragmatic language deficits, with her primary eligibility remaining SLD. Subsequently, Student received speech and language services. Student’s last agreed-upon and implemented educational program, the September 2, 2011 individualized education program (IEP), provided her with 30 minutes a week of small group, pullout speech and language services. Her primary language is Spanish, which she speaks at home. She is acquiring English, which she speaks at school. 2. In a prior case between the parties, filed by the District, it was found that its January 2011 speech and language assessment by District speech and language pathologist Melissa DiPasquale was appropriate and that it need not fund an independent educational evaluation (IEE). (Santa Rita Union School District v. Student (September 28, 2011) Cal.Ofc.Admin.Hrngs. 2011040352.3) The prior Decision also found that when Dr. Maria Moleski conducted a private assessment, she mistakenly believed that Student’s primary language was English and she administered all assessment instruments to Student in English. Therefore, Dr. Moleski’s assessment assessed only in English of a student whose primary language is not English fell below professional norms and rendered her assessment professionally deficient and legally inappropriate. The District correctly argued at hearing that the adequacy of its January 2011 assessment and inadequacy of Dr. Moleski’s assessment was previously litigated, and Student could not challenge these findings under the doctrine of collateral estoppel because the time for appeal has lapsed. 3. Assessments upon which a special education determination is based must comply with numerous legal requirements. They must, for example, occur at least every three years, or more frequently if circumstances require it, or if a parent or teacher requests it. They must not be based on a single procedure or criterion; must be used for purposes for which they are valid and reliable; must be properly administered by trained personnel; must accurately reflect the pupil’s aptitude, achievement level and other relevant factors; must be selected and administered so as not to be racially, culturally, or sexually discriminatory; and must be provided and administered in the student’s primary language or other mode of communication, unless this is not feasible. Assessments must be conducted in all areas related to any suspected disability the student may have. 4. In the spring of 2012, the District conducted Student’s triennial assessment, which included a psychoeducational assessment, and a speech and language assessment. District speech and language pathologist, Jillian Munsey, conducted the speech and language assessment. Ms. Munsey has worked full time with the District for the past three years, and previously worked part time for the District for a couple of years. Ms. Munsey has a bachelor’s and master’s degree in communicative disorders and deaf studies, and appropriate credentials and licensure to be a speech and language pathologist. Ms. Munsey has conducted over two hundred speech and language assessments related to eligibility for special education services for children. She has also provided speech and language services to District pupils. Ms. Munsey has provided speech and language services to Student since the start of the 2011-2012 school year (SY). 4 The appropriateness of administering the CASL in English is set forth in Factual Finding 10. 5. For the speech and language assessment, Ms. Munsey reviewed prior speech and language assessments, including Ms. DiPasquale’s January 2011 assessment and Dr. Moleski’s assessment. Ms. Munsey administered in English the Comprehensive Assessment of Spoken Language (CASL) to examine Student’s pragmatic language skills and the Goldman Friscoe Test of Articulation, Second Edition (GFTA-II)4 Student cooperated during these assessments and put forth her best effort. Ms. Munsey also gave Student’s teachers a pragmatic language profile checklist from the Clinical Evaluation of Language Fundamentals-Fourth Edition (CELF-4) to complete. Unfortunately, Ms. Munsey was able not to score the CELF-4 because of the teachers’ responses. This was because of the CELF-4 manual contains instructions that if a person checks “not appropriate” or “not observed” this prevents the computation of the CELF-4 score, although the question responses can be examples of strengths and weaknesses for the IEP team to consider. Additionally, Ms. DiPasquale testified and established that the results of her prior assessment were still valid and that the District did need not conduct further assessments in those areas. 6. Ms. Munsey is qualified by her education, experience and training to administer the above assessments. Additionally, Ms. Munsey was not required to repeat the testing that Ms. DiPasquale conducted in January 2011 because those results were still valid as to Student’s expressive, receptive and pragmatic language skills. 7. A student is eligible for special education and related services under the category of SLI if the student scores at least 1.5 standard deviations below the mean, or below the seventh percentile, for her chronological age or developmental level on two or more of certain standardized tests. Alternatively, the student is eligible under the category of SLI if the score on one such standardized test is below the seventh percentile and, the student also displays inappropriate or inadequate usage of expressive or receptive language as measured by a representative spontaneous or elicited language sample of a minimum of fifty utterances. 8. The central issue as to the appropriateness the District’s decision that Student was no longer eligible for speech and language services as a child with SLI is whether Student’s speech and language deficits in English are the result of a language difference, or a language disorder. If the testing results are due to a language difference, Student’s expressive, receptive and pragmatic language deficits would be due to Student’s lack of knowledge of English as an English language learner (ELL). If Student has a language disorder, her speech and language deficits would exist in both English and Spanish. 9. As stated in the prior Decision, Ms. DiPasquale found that, for the most part, Student achieved significantly higher scores on Spanish-language tests than she did on the English equivalent tests that Dr. Moleski used, and that Ms. DiPasquale’s scores were accurate. In the Spanish-language assessments, Student’s scores were above the seventh percentile in the areas of expressive and receptive language deficits. To meet the eligibility requirements for SLI, scores must be below the seventh percentile. No Spanish language tests exist in the area of pragmatic language. A person’s expressive and receptive language skills are more impacted by a language difference than pragmatic language skills. Therefore, Ms. Munsey did not test Student in Spanish. The prior Decision made no finding as to Ms. DiPasquale’s opinion that Student’s speech and language deficits were caused by a language difference, not a language disorder. However, it did reject Dr. Moleski’s findings about Student’s expressive, receptive and pragmatic language deficits because Dr. Moleski only assessed Student in English. 5 The scores are synopsized in the prior decision on page 5, and need not be repeated. 10. Ms. DiPasquale and Ms. Munsey testified convincingly that Student’s speech and language deficits were the result of her being an ELL, and not due to a language disorder. Ms. DiPasquale’s assessment reflected a marked difference in scores between tests administered in English and those administered in Spanish.5 Ms. DiPasquale and Ms. Munsey both explained that if a bilingual individual has a language disorder, the disorder will manifest itself in both languages, not just one, because language processing deficits will exist in both languages. Student’s Spanish speech and language scores would not qualify as eligible for special education services as SLI. The English language scores Dr. Moleski obtained might qualify Student for special education as SLI because they were borderline, just above and below the seventh percentile threshold. Additionally, Ms. Munsey administered the CASL pragmatic language subtest because this was a stated area of concern from the Parents. On the CASL, Student had a standard score of 79, which placed her in the eighth percentile. Ms. Munsey conducted the CASL in English because no Spanish language version is available. However, she and Ms. DiPasquale were convincing that for pragmatic language, Student’s pragmatic language skills are measured the same if the test is in English or Spanish because of her knowledge of both languages and the skills examined are not so dependent on language mastery. 11. Ms. Munsey, through working with Student and from information in the recent psychoeducational assessment, hypothesized that Student’s expressive, receptive and pragmatic language deficits are more likely the result of her other qualifying disabilities. Student has documented problems with attention and memory that negatively affected her scores as she had trouble paying attention and remembering information asked of her. Also, Student demonstrated frustration when the testing became harder, and that negatively affected her pragmatic language score as she could not perform well while frustrated. 12. Because speech articulation was an area of concern, Ms. Munsey administered the GFTA-II in English. Student obtained a standard score of 96, which placed her in the 10th percentile. Student’s error of note related to pronouncing the sound for the English letter ‘v’ with a Spanish pronunciation, which sounds more like the letter ‘b’ in English. 13. Ms. Munsey also observed Student at school three to four times a week during recess and lunch. Student interacted typically with her friends and demonstrated no problem conversing in English with her classmates when she participated in small group speech and language instruction, and on the playground. 14. Student is correct that she is behind in English in relation to her expressive and receptive language skills, and thus requires assistance. However, other ELL students are also behind in this area, which is why the District has Student in a general education ELL class so she can better master speaking and understanding English. Additionally, since the District has a large number of ELL students, all teachers, both in general and special education, have undergone specific training to improve the English language skills of these ELL students. Therefore, Student’s expressive and receptive language deficits that Parents observe, and that Dr. Moleski noted in her report, are the result of her learning English as a second language, not the result of a language disorder. 15. Finally, the other reason Student had low expressive and receptive language assessment scores, and is behind in English language acquisition, is due to her below average cognitive ability caused by her processing, attention, and memory deficits. During the triennial assessment, school psychologist Jorge Quiñónez administered the Woodcock-Johnson III, Test of Cognitive Abilities (WJ-III TCA). Mr. Quiñónez administered the test in English, which was Student’s preferred language at school, and she did not have any difficulty responding. Further, the WJ-III manual permits scoring as correct a response in Spanish. During the testing, Student had difficulty maintaining focus and slow processing speed, which delayed her responses. She had problems performing age related tasks due to her weakness with her working memory, which is her ability to retain information while performing an operation with this information. Student’s short-term memory and her ability to reason and solve problems were another area of weakness. Finally, Student had significant deficits in her reasoning ability that made it difficult for her to draw inferences, recognize and form concepts, and draw conclusions. 16. The deficits that the WJ-III TCA showed are also related to Student’s ability to master English as a second language. Her deficits limit her ability to learn English as a second language quickly, which will cause a gap between her expressive and receptive language skills when tested in English versus Spanish, where she has more mastery of the language. Additionally, the expressive and receptive language deficits are not the product of a language disorder that a speech and language therapist could work with a student to resolve. 17. The District was able to establish the appropriateness of Ms. Munsey’s speech and language assessment. She is was qualified to administer the assessment and, in conjunction with Ms. DiPasquale’s January 2011 assessment, assessed Student in all areas of suspected disability, including areas related to Student’s expressive, receptive and pragmatic language deficits. Ms. Munsey properly administered the test instruments for their designed purpose and the tests were properly normed and not racially, culturally, or sexually biased. Finally, the District established that the test results were accurate. Therefore, the resulting speech and language assessment was appropriate, and the District established that Student did not qualify for special education services under the category of SLI. 18. A school district provides a FAPE to a student if its program, services or placement are designed to address the student’s unique educational needs, and reasonably calculated to provide meaningful educational benefit in the least restrictive environment. 19. The District asks to terminate the weekly speech and language sessions Student currently receives in her last agreed-upon and implemented educational program, and not to provide any speech and language services to Student. Student contends that she requires speech and language services due to her expressive, receptive and pragmatic language deficits as documented in Dr. Moleski’s report. 6 This decision makes no findings whether the District’s goals and related services designed to address Student’s memory, processing and attention deficits provide Student with a FAPE. 20. The District convened Student’s triennial IEP team meeting on April 20, 2012. Based on information in Ms. DiPasquale’s January 2011 assessment and Ms. Munsey’s April 2012 assessment, the District did not propose speech and language goals, or speech and language services. At the IEP team meeting, the District explained that Student did not require speech and language services because her language needs are related to her memory, processing and attention deficits. The District can address these needs in her general education classes and special education resource class with the proposed goals designed to address these areas of need.6 Parents did not consent to any portion of the IEP. 21. The District convened IEP team meetings on May 17, 2012 and December 7, 2012, in the hope that Parents would consent to the District’s proposed IEP, but this did not occur. Parents finally provided partial consent to the District’s IEP on March 21, 2013, as they consented to all portions of the IEP, except those related speech and language. Parents objected to the District removing SLI as a special education eligibility category, and ceasing all speech and language services. 22. At the March 21, 2013 IEP team meeting and at hearing, Parents indicated that Student continues to need speech and language services because she does not appear to understand the questions they ask her at home, as she usually replying, “I don’t know.” Ms. Munsey was convincing that Student’s response to her Parents was typical for a teenager and Student did understand questions posed to her at school by classmates and her teachers. 23. Student also tried to document her need for speech and language services based on Dr. Moleski’s report. As stated above in Factual Finding 2, the prior Decision discredited Dr. Moleski’s report because she believed that Student’s primary language to be English, and her testing fell below professional norms, which made her assessment professionally deficient and legally inappropriate. The District established through Mr. Quiñónez, Ms. DiPasquale, and Ms. Munsey that Student’s expressive, receptive and pragmatic language deficits were the result of her processing, memory and attention deficits, which the IEP goals and services would address, not continued speech and language services. 24. While Student has delayed expressive, receptive and pragmatic language skills, these deficits are primarily the result of her being an ELL student and her processing, memory and attention deficits, and not a language disorder that speech and language services could address. Therefore, the District established that Student no longer requires speech and language services to address her expressive, receptive and pragmatic language needs to receive a FAPE. 13. A properly crafted IEP addresses a student’s individual needs regardless of her eligibility category. (20 U.S.C. § 1412(a)(3)(B); see Fort Osage R-1 School Dist. v. Sims (8th Cir. 2011) 641 F.3d 996, 1004 (category “substantively immaterial”); Heather S. v. Wisconsin (7 th Cir. 1997) 125 F.3d 1045, 1055; Hailey M. v. Matayoshi (D. Hawaii, Sept. 11, 2011 (10-00733) 2011 WL 3957206, *3). “The purpose of categorizing disabled students is to try to meet their educational needs; it is not an end to itself.” (Pohorecki v. Anthony Wayne Local School Dist. (N.D. Ohio 2009) 637 F.Supp.2d 547, 557. Issue: Whether the District may exit Student from special education eligibility under the category of speech and language impairment and cease providing Student with speech and language services? 18. Pursuant to Factual Findings 4 through 17 and Legal Conclusions 1 through 16, Student no longer meets the eligibility requirements for SLI. The District established that Student’s speech and language deficits are the result of a language difference because Spanish is her first language and she is not yet fully proficient in English. Student’s speech and language scores in Spanish do not qualify her for special education services as her scores are above the seventh percentile and she does not display inappropriate or inadequate expressive or receptive language. Additionally, her speech and language deficits are the result of her processing, memory and attention deficits, and not a speech and language disorder. Therefore, the District established that Student is not eligible for special education services under the category of SLI. 19. Pursuant to Factual Findings 20 through 24 and Legal Conclusions 1 through 17, Student does not require speech and language services to receive a FAPE. Student’s speech and language deficits are the result of delays in English language acquisition and not due to any language disorder that speech and language services could assist Student. The District is addressing Student’s English language acquisition with her attending a class specifically designed for ELL students and with special education instruction in her resource class. Additionally, Student’s speech and language deficits were also related to her processing, memory and attention deficits for which speech and language services would not be appropriate to address, and which the District is addressing through other IEP goals and services. Accordingly, the District established that Student does not require speech and language services to make meaningful educational progress. 1. 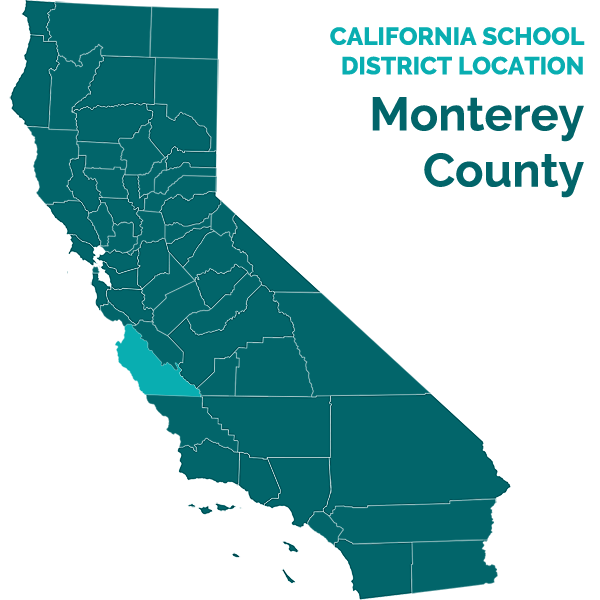 The District may exit Student from special education eligibility solely as to SLI. 2. The District may cease providing Student with speech and language services. Education Code section 56507, subdivision (d), requires that the hearing decision indicate the extent to which each party has prevailed on each issue heard and decided. The District prevailed on the sole issue heard and decided.